Ever wondered what it took to be a successful retailer? I'm sure you've heard that 50% of businesses fail within their 1st year! All that money and effort and their business still failed! With that in mind, we can say that opening a retail store is no joke. Ever wondered what it took to be a successful retailer? I'm sure you've heard that 50% of businesses fail within their 1st year! All that money and effort and their business still failed! With that in mind, we can say that opening a retail store is no joke. 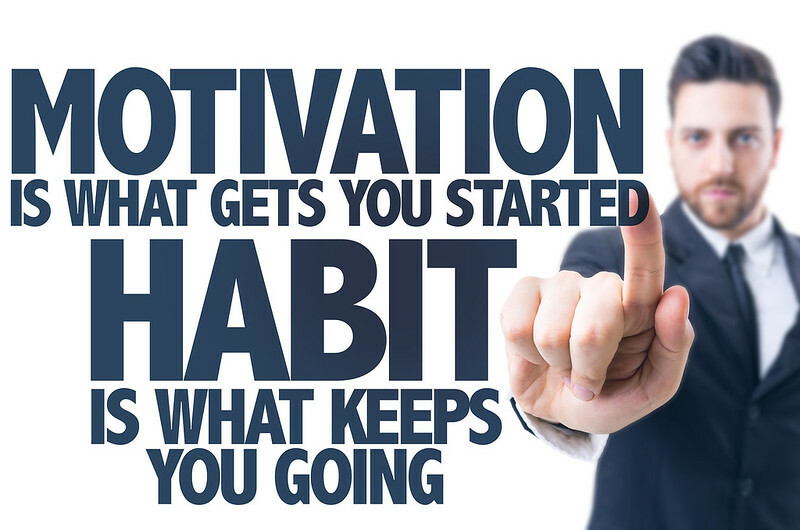 It requires not just dedication and careful study but thorough planning in carrying out successful business habits. Today, we will share 5 great habits to help you drive success in your business. These habits can lead to better performance by creating more effective leadership and also improved customer relationships, which can drive more sales. They know what’s happening around them: Successful retailers keep themselves updated with the latest trends in the retail industry. They check out various magazines, brochures, catalogs, newspapers for the latest developments so as to be the top of their game. They know their mission: To be a successful retailer you have to know your “why” in the first place. Successful retailers know the reason for their business’s existence and communicate it to their customers. They share their purpose with them so customers grow to love them. Knowing your why helps you understand the mission and vision. It helps you relate to why your business does what it does. It gives you clarity of purpose and focus. You can consistently produce, source, and sell the right products when you follow a specific vision. They know their target market: Successful retailers ensure they know about the taste and preferences of their customers in order to meet their expectations. You don’t just want to have a business and not care to know the type of personalities or age range of your target market because that would be a disaster. Customers will always let you know what they’re looking for, but only if you ask; so ensure you find out as often as possible. You could do a survey once in a while if need be. They hire carefully: Successful retailers don’t just become successful on their own. They had a team of workers who shared the same goals and objectives and were able to execute them. You need to hire and retain the best employees to practice this important habits for success with you. The people you employ should be employees you can trust are able to carry out this vision and mission of yours. Before you hire, perform a series of tests that are outside the traditional job interviews, this would help a great deal in hiring the best team. They treat their customers like kings and queens: Happy customers hold the key to a very successful retail operation. Like Orison Swett Marden said, “The golden rule for every business man is this: Put yourself in your customer's place”. This way you are able to treat and serve them well. Ensure you solve a customer’s complaint with love, kindness, and care because nothing will build loyalty faster than satisfied customers bragging to their friends about their pleasant experience with you or your business. Customer satisfaction is key, never forget that. If you want be a successful retailer then you must ensure you practice these habits until they become a part of you and your business, then watch your business flourish as you do. How many of these are you doing already? Do you think we missed any? I would love to get your take, please feel free to share in the comments. PS: Don’t forget that you can still get the free 14 days offer to PrognoStore. PrognoStore is Point-of-Sale software for small business which helps you sell your goods/services, track your inventory and gain insight to run your business. It’s all you need to run your small business. Simply go to www.prognostore.com/signup to sign up and get your 14 days free.